Originally airing in 1999, Futurama even now is only in its sixth season. As many shows before it and with an eerie parallel to its fellow animated television series Family Guy, it was once cancelled in 2003. 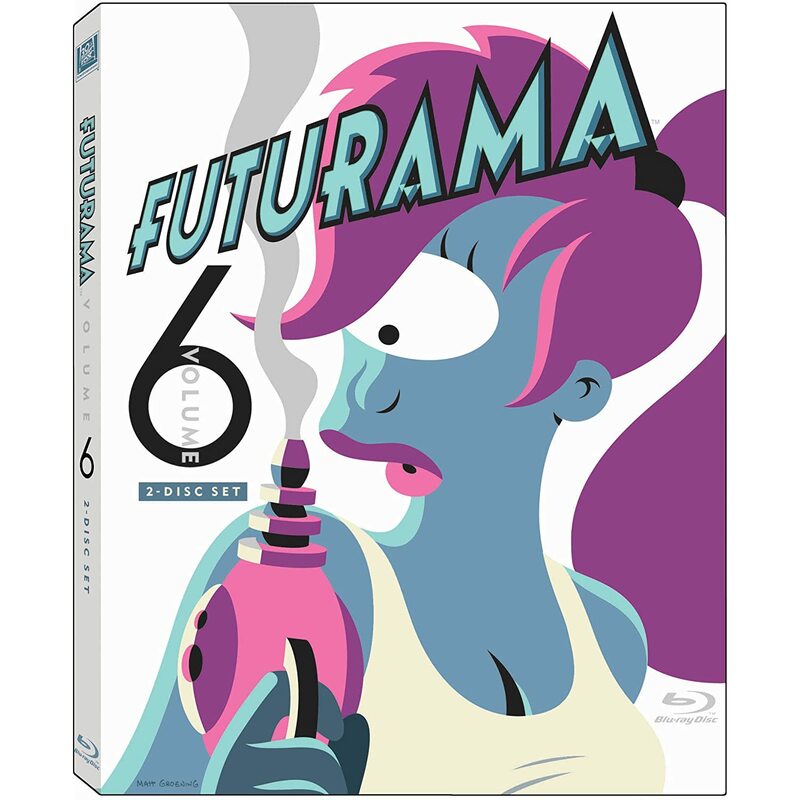 But after several years of popular DVD sales and a couple of straight-to-DVD feature films, the workplace comedy about Philip J. Fry (Billy West), a person from our time who was cryogenically frozen and released 1,000 years later into a world of robots, mutants, and aliens -- only to work as a delivery boy for Planet Express -- returned to television in 2010 on Comedy Central. Once again following in the footsteps of Family Guy, the return of Futurama was also quite rocky. The new episodes seemed to be trying too hard, like they had something to prove or needed to reach out and grasp the audience’s attention. Unfortunately, the way they choose to do that was to be overly gross with bodily fluids followed up with storylines that were more stream of consciousness than well thought out plots. But with the release of Volume 6, the crew of the Planet Express delivery company seems to be firmly back on track. While it would have been nice to have included one of the more sentimental episodes in this latest release, it’s nice to see the show back into its solid form of good-natured comedy. “Overclockwise” exemplifies everything good with the series as Bender (John Di Maggio) keeps upgrading his processor by assimilating more and more technology until he achieves a higher plain of existence. While this could easily be humanity’s greatest nightmare, Bender with godlike power, it ultimately is about friendship and loyalty. “Reincarnation” is the other episode in this collection that rises above the others, but not as much for the storyline as for the animation. The story is told in three separate formats. The first is in black and white animation similar to that of a Felix the Cat or original Mickey Mouse. The second is in 8-bit video game format much like that used during the ‘80s. The final is an homage to anime with the big hair, super muscled bodies, and the voiceover dubs that don’t match up correctly. The video is presented in Widescreen 1.78:1 with a 50 GB Dual Layer and a 5.1 DTS-HD Master Audio soundtrack. While the animation is clearer and has a sharper contrast than it appears on television, both the visual and audio elements come across as just slightly better than average and don’t offer as much as you would expect from a Blu-ray format. The Blu-ray contains thirteen episodes that are not in any apparent order, all with full length audio-commentary and some deleted scenes. There are three special features: “Professor Farnsworth’s Science of a scene,” is a short video on how a scene is created using the episode “Overclockwise” as the example. “Reincarnation Explained!” is Director Peter Avanzino taking the viewers on a tour of the episode and discussing the three different styles used in the episode. The final feature “Futurama F.A.Q.” is the writers and producers answering silly fan questions with silly answers. 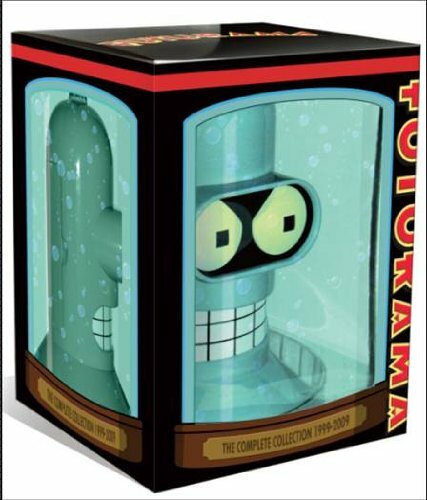 This latest collection stands firmly alongside all of the others and is worth having in any Futurama Fan’s collection. But in order for it to have stood out and been one of the best collections, it needed at least one special episode that transcended the others like “The Luck of the Fryish” from season three, “Jurassic Bark” of season five or even “Lethal Inspection” from Season Six.